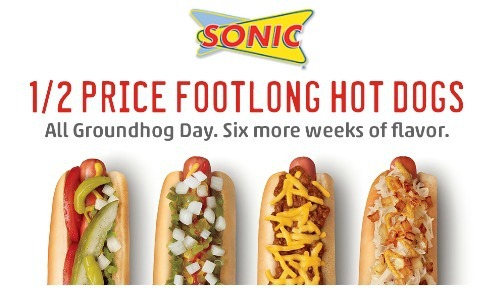 For today only and in honor of Groundhog Day, you can get half-priced footlong hotdogs at your local Sonic Drive-In! There is no coupon needed for this deal. Sounds like a fun way to get a cheap dinner for your family. This deal is only valid through 2/2.